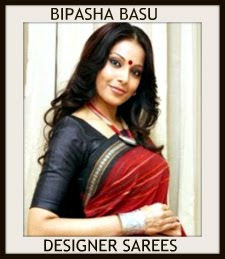 Bollywood actress in beautiful black designer transparent saree with embroidered border. Paired with black designer halter neck saree blouse. 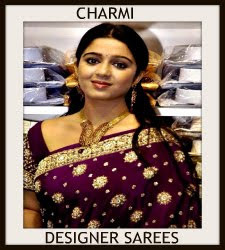 South Indian actress Nayanathara in beautiful black designer transparent saree with gold silk border,followed by green simple border at 61st Idea Filmfare Awards 2014. Paired with designer sleeveless saree blouse. South Indian actress Sakshi Chowdary in beautiful black designer embroidery transparent saree. It is a net saree. Embellished patch and thread work all over saree. Embroidered zardosi work through out border. Mirror work on it. Paired with black designer embroidered short sleeves saree blouse. 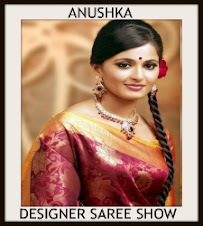 Model walks in beautiful pink designer plain crushed saree with embellished patch work border. Designed by Ilk at Day 2 LFW Summer/Resort 2014. Paired with designer embellished quarter sleeves saree blouse. Bollywood actress Kajol in beautiful red designer transparent saree at Durga Puja. Small thread work all over saree and pink plain border. Followed by yellow border. Paired with pink designer sleeveless saree blouse. Bollywood actress Kajol in beautiful white deisgner embroidery saree at Durga Puja. Embellished applique patch work all over saree and through out black border. Paired with designer halter neck saree blouse. Model walks in beautiful white designer transparent saree with double borders. Designed by Shivan and Naresh at Day 2 Wills India Fashion Week Spring/Summer 2013. Paired with designer halter neck saree blouse for back. Bollywood actress Vidya Malvade in beautiful red designer plain transparent saree with gold silk border,followed by green plain border. 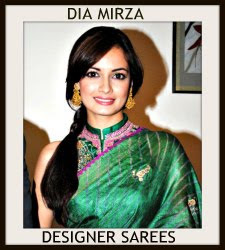 Paired with green designer sleeveless saree blouse for back at Designer Sonam M Store. South Indian actress Lavanya Tripathi in beautiful green designer light weight netted transparent saree with plain silver border, thread work flower motifs and crystallized work embellished across the saree and around the borders. 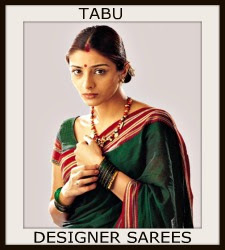 Paired with green designer sleeveless saree blouse with ‘V’ shape neck pattern. Mirrors and beads embellished all over the blouse and knot with thread tassels. Bollywood actress Monica Bedi in beautiful maroon designer plain georgette transparent saree with gold border. It is paired with maroon designer velvet sleeveless saree blouse with ‘V’ shape collar neck pattern. Gold embellished work across the neck. Bollywood actress Deepika Padukone in beautiful white designer transparent saree at Palam Silks Chennai Express Meena Hunt Grand Finale. Shimmering work all over. Gold embroidered thread work all over saree. Gold zari and crisscross thread work through out border. Paired with gold designer embroidered sleeveless saree blouse for back. Small sequins buttes all over blouse. 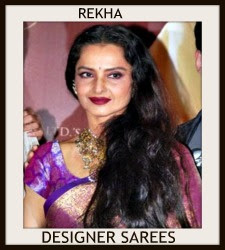 Bollywood actress in beautiful black designer embroidery transparent saree at Gold Awards 2013. 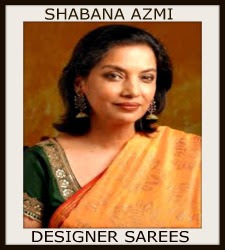 Embroidered mirrors all over saree and embroidered work through out border,followed by red border. Paired with red and silver designer embroidered full sleeves saree blouse with round neck pattern. Embroidered sequins buttes on it. Left: Anchor Anasuya in beautiful blue designer georgette saree. Black designer printed work through out saree. Multicolor polka dots across the gold border,followed by pink,thread borders. Paired with pink designer sleeveless saree blouse. Right: Anasuya in beautiful black designer transparent saree. White printed flower designs all over saree. Pink embellished rose flowers through out border. Paired with pink designer sleeveless saree blouse. South Indian actress Ritu Varma in beautiful green and maroon designer half and half saree. It is a transparent saree. simple zari weave shimmer maroon fancy border, silver white dots embellished bright maroon color organza pleats and transparent green net pallu with embroidery floral work and mirrors comes across. Paired with maroon designer ruffled sleeves saree blouse with square neck pattern. It is a benaras blouse. 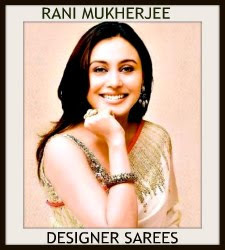 Bollywood celebrity in beautiful black designer transparent saree with embellished border. 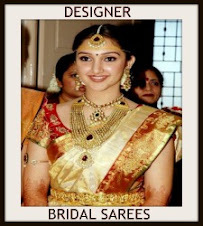 It is paired with black designer short scalloped lace sleeves saree blouse for back. Model displaying beautiful black and gold designer dual color transparent saree. Designed by Farah Firdos at Day 4 LFW Summer/Resort 2013. Gold thread work through out gold. Gold embroidered work across the border. 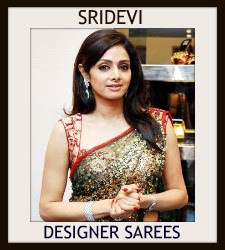 Paired with designer sleeveless saree blouse with ‘V’ shape neck pattern. Model displaying beautiful black designer transparent saree. Silver embellished patch work across the maroon border. Paired with designer saree blouse. Designed by Farah Firdos at Day 4 LFW Summer/Resort 2013. Model displaying beautiful black designer transparent saree. Designed by Payal Pratap at Day 4 WIFW Autumn/Winter 2013. Tan designer printed work around the black border. Embroidered mirrors across the border. Paired with designer saree blouse. Bollywood actress Esha Gupta in beautiful black and maroon designer transparent saree. Designed by Manish Malhotra at Day 3 WIFW Autumn/Winter 2013. Gold embellished crisscross work around the maroon and black border. 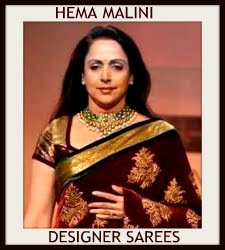 It is paired with black designer one shoulder saree blouse for back. Model displaying beautiful black designer transparent saree. Designed by Reynu Tandon at Day 3 WIFW Autumn/Winter 2013. Silver vertical stripes all over saree and black border. 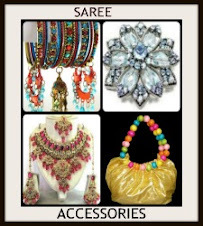 Paired with black designer sleeveless saree blouse for back. Gold embellished work through out neck pattern.